We offer some of the best warranties in the industry to protect your new windows and doors for decades to come. products and services with comprehensive warranties. We offer all of our residential customers an extensive lifetime warranty when they come to us for windows and doors. Best of all, the warranty is transferable. Before you place your order or at the time you request a quote, we will provide you with the specific details of the warranty that accompanies our service. 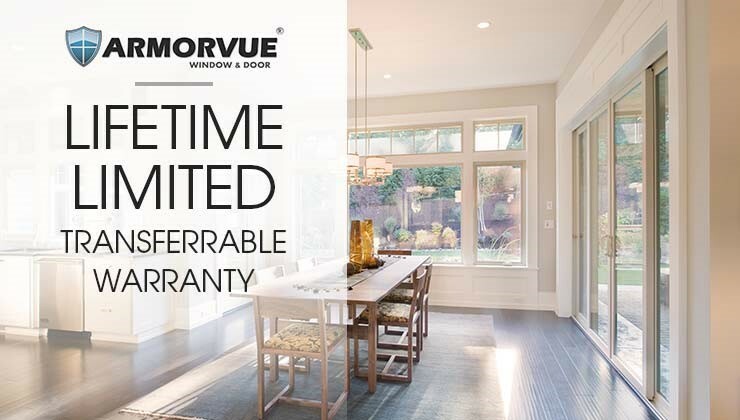 If you have any questions or concerns regarding the warranty for our products and services, we encourage you to contact us at Armorvue today. You can call us to speak with one of our knowledgeable representatives, or you can request a free, no-obligation quote by filling out our online form. Fill out this form to get a free quote.